The Canadian Quilter is a quarterly publication of the Canadian Quilters’ Association/Association canadienne de la courtepointe. It is distributed directly to our membership. We currently have individual, guild, professional and shop memberships. The Canadian Quilter contains a minimum of 70 pages, and may have up to 100 pages, all of which are in full colour. Features regularly included are: book reviews, product reviews, pattern reviews, quilting tips, youth quilting, quarterly challenges, judging information, event calendar, regional quilt guild reports, quilt shops, studio visits, rosettes, Quilt Canada and association news. We welcome authors and designers to submit articles of interest and special stories that centre on the Five “Q” Topics: Quilts, Quilting, Quilters, Quilting Guilds and Quilting Events. We also welcome information and stories about fibre artists and fibre art. CQA/ACC networks coast to coast and hosts regional representatives in every province and territory. 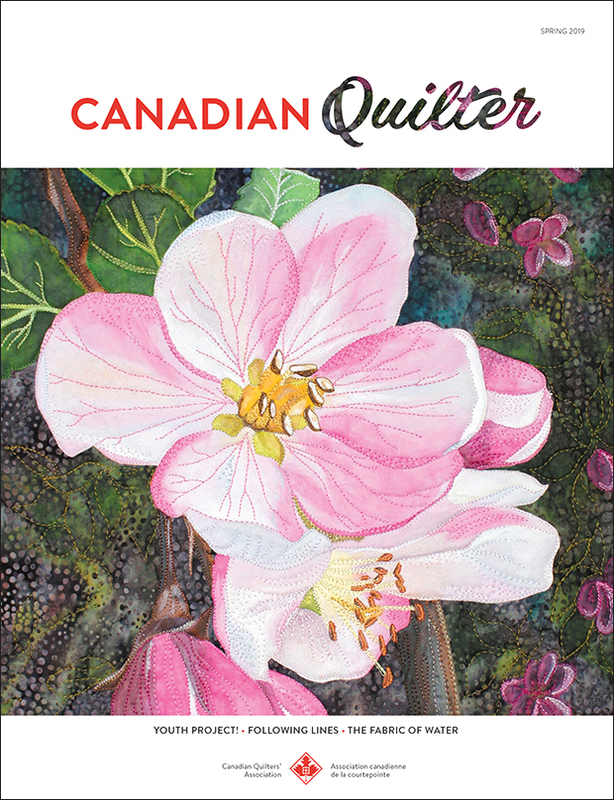 Quarterly, CQA/ACC distributes Canadian Quilter magazine to members across Canada. Members include individuals, professionals, shops and guilds. All are avid quilters; your target market. Advertising in Canadian Quilter is an excellent investment of your advertising dollars. CQA/ACC has exclusive use of articles as published in The Canadian Quilter magazine for six months after publication so that the same article does not appear simultaneously in other publications. This policy does not prevent the author from publishing on the same or similar topics and/or engaging in writing blogs, using photos that were used in the article or sharing the information with colleagues and students. It refers only to the article as it is published in The Canadian Quilter. CQA/ACC sometimes publishes material on its website where the article stays indefinitely. This will only be done with written permission from the author. 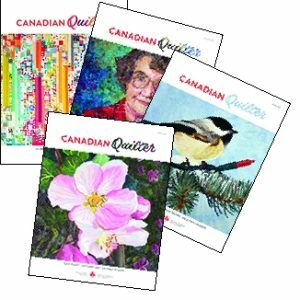 Do You Wish To Purchase A Single Issue Of Canadian Quilter?